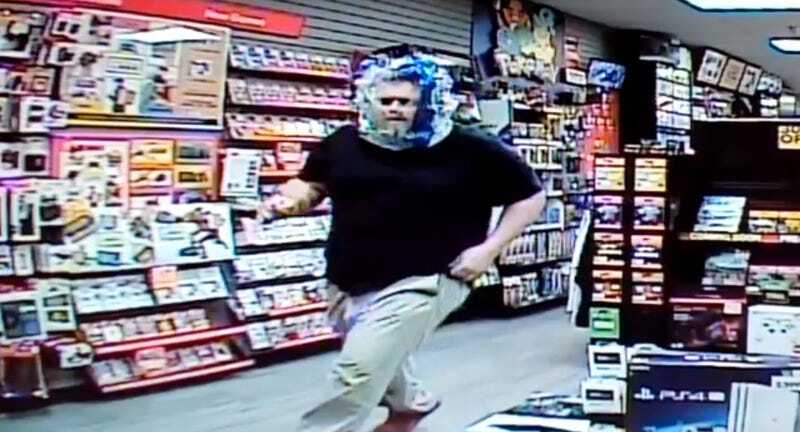 A man broke into a GameStop in St. Marys, Georgia last week at 1:39 in the morning, having decided that the best way to disguise his features would be to try and cover his face in what’s left of the plastic bag that packs of water bottles come in. The break-in occurred in the early hours of April 13. Footage captured from the incident has been uploaded by St. Mary’s Police, and show the man...looking like a low-rent Mr. Freeze cosplayer. St. Marys Police tell Kotaku the suspect gained entry to the store by kicking out the bottom glass panel of the front door, but have not disclosed what—if anything—was taken. They’re appealing for help from locals identifying the suspect.